We had the opportunity to complete a bonded partial restoration replacement for this dentist on the DOB aspect on this 46. The shape of the DB line angle was questionable, but faithfully and predictably reproduced using the Triodent V3/Palodent Plus system – unfortunately in this case the Garrison Compositight would have collapsed the line angle, thereby necessitating pre-restorative freehand or guided buildups of this area before placement of the matrix assembly. 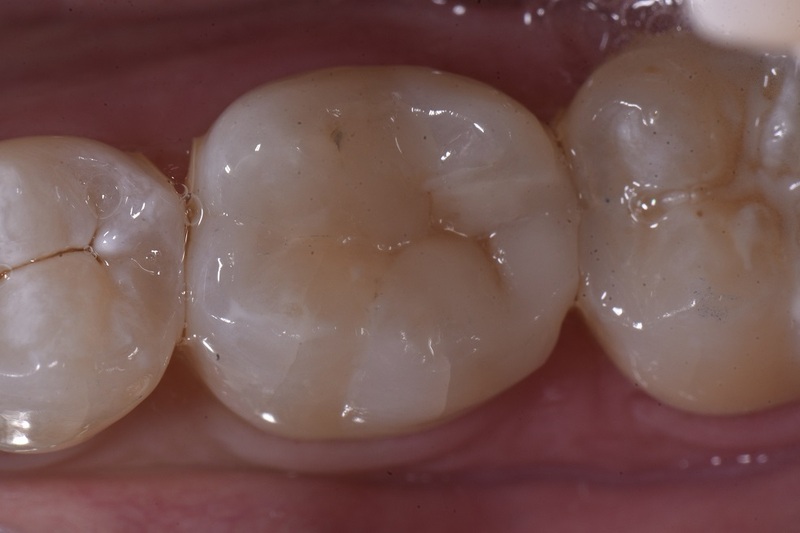 The restoration was lined using multiple, ultra-thin layers of A2 Majesty Esthetic flowable before restoring to full volume using A2 Grandio SO. 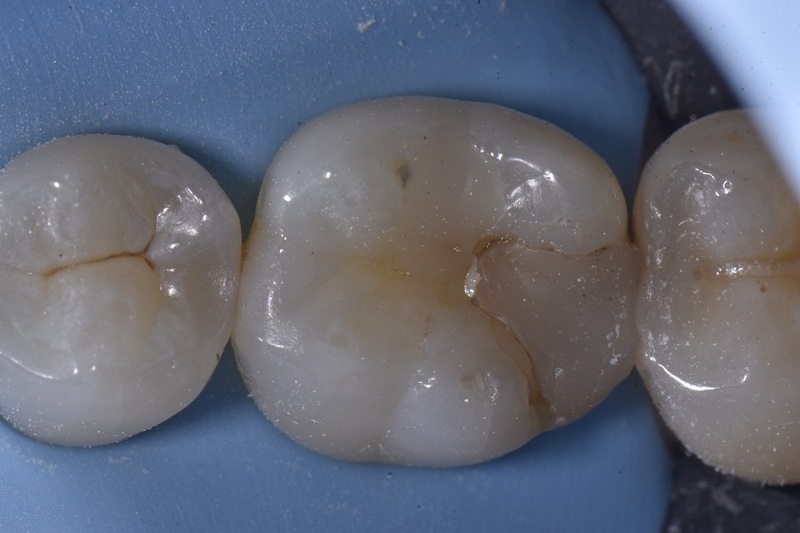 With a Micro Vickers Hardness of 211MHV, there is no doubt this restoration will have as good as a prognosis as a porcelain inlay, with less tooth reduction. Have a great evening. Off to Palmy for a short but good time. See you folks for SkulptingSkool 101 tomorrow.